Paul Antony Young (born 17 January 1956) is an English rock and pop musician. Formerly the frontman of the short-lived bands Kat Kool & The Kool Cats, Streetband and Q-Tips, his following solo success turned him into a 1980s teenage pop idol. 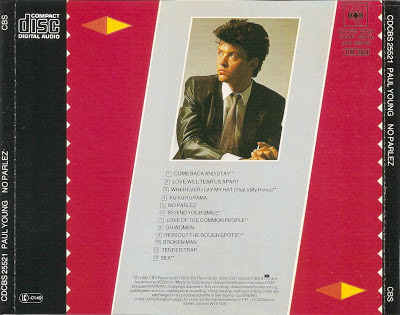 No Parlez is the debut solo album by the British singer Paul Young, released in 1983.